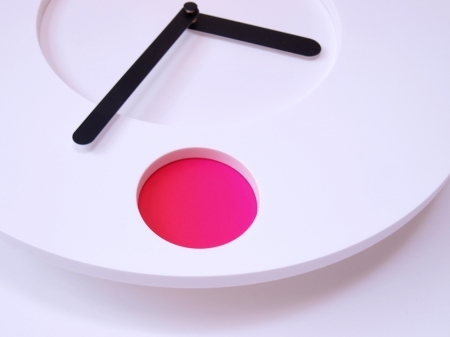 Color is a powerful sensory aphrodisiac and this wall-clock complements the passing of time with color. As the time rolls through the day, the color window rotates through the full spectrum of colors, giving the clock an additional ambient interface. 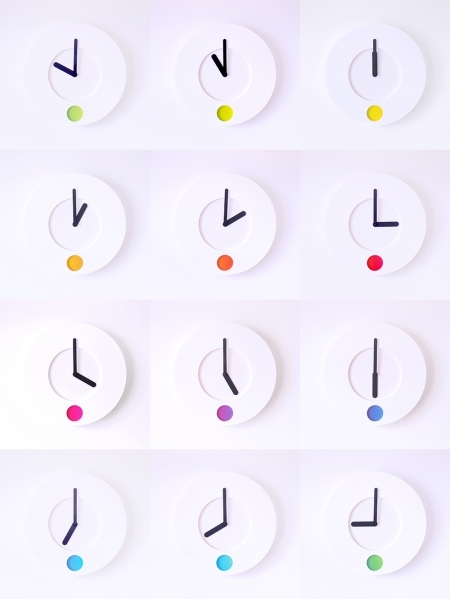 Colour O’Clock – animated time-lapse from duncan shotton ☁ on Vimeo.